Two (2) Dolcetto Chocolate Cookies Bag .7 oz. Wisconsin Cheddar Cheese Triangle 4 oz. 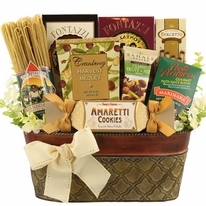 This meal gift basket is sure to have you come back for seconds! The Hearty Chili Fixins dinner gift basket has all of the favorites of a gourmet gift basket with a savory twist. 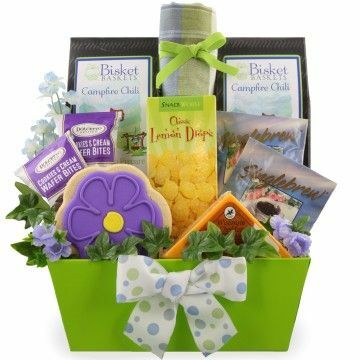 Filled up with chili, cheese, sweet snack foods, and coffee, this gourmet food gift basket has you covered for the whole meal. In addition to snacks and mixes, each meal gift basket contains a decorative dishtowel and reusable container. 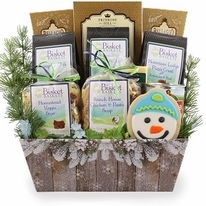 Our gourmet food gift baskets are created at the time you order, making sure they arrive fresh. 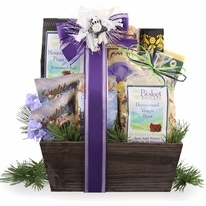 Your recipient will receive a handwritten gift message with their gourmet gift basket.